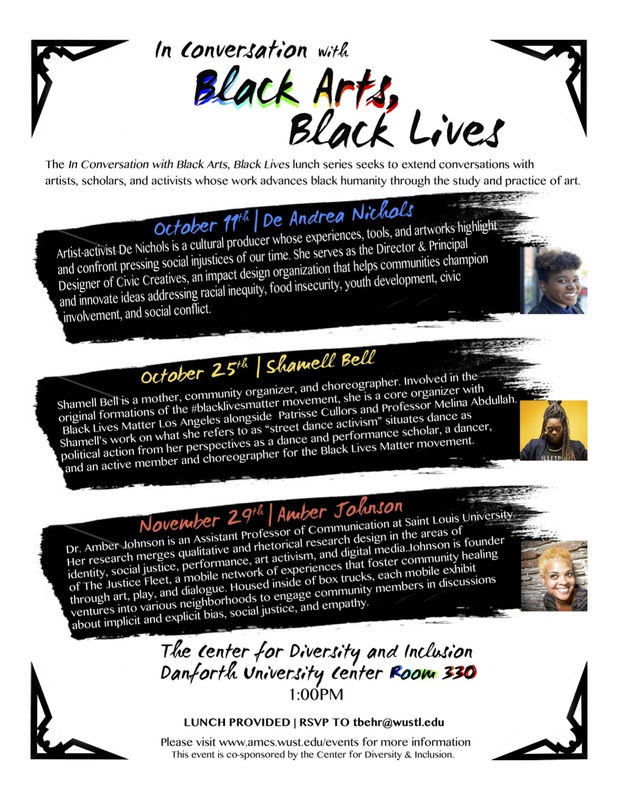 Curator of Black Arts, Black Lives in American Culture Studies at Washington University in St. Louis, which seeks to chronicle the work of black artists, and foster collaborations among scholars, artists, and communities within and beyond Washington University. 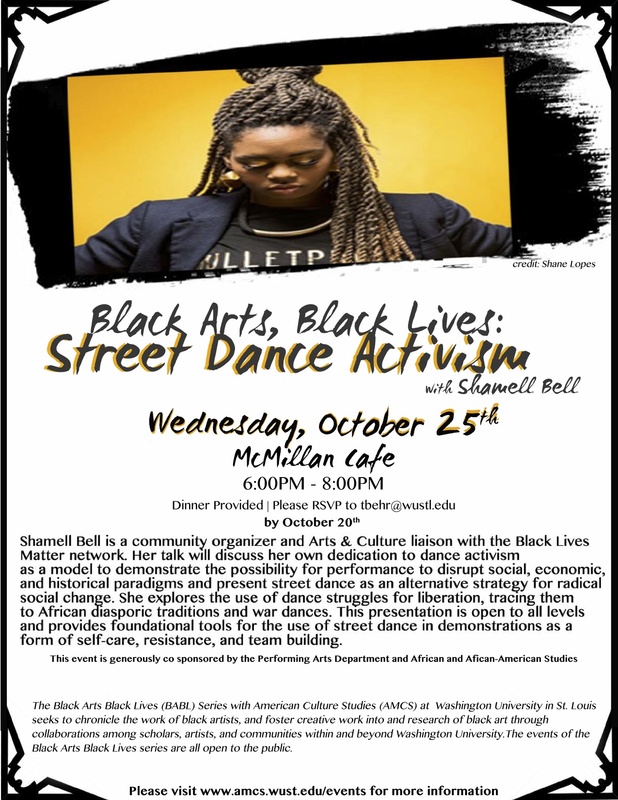 Fall 2017 events included a workshop (“Street Dance Activism with Shamell Bell“) and dialogues with the incomparable De Nichols and Shamell Bell. Co-curator of SPECTACULAR LABOR, the pre-conference for the Performance Studies Focus Group at the Association for Theatre in Higher Education. 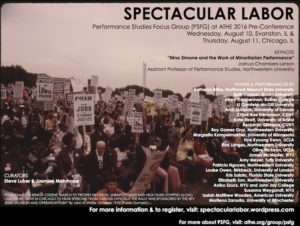 Held August 10-11, 2016 in Evanston and Chicago, IL, SPECTACULAR LABOR included scholarly presentations on labor and performance. 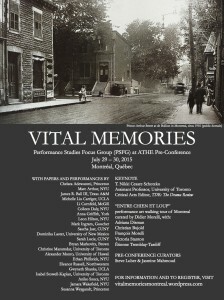 Co-curator of VITAL MEMORIES, the pre-conference for the Performance Studies Focus Group at the Association for Theatre in Higher Education. 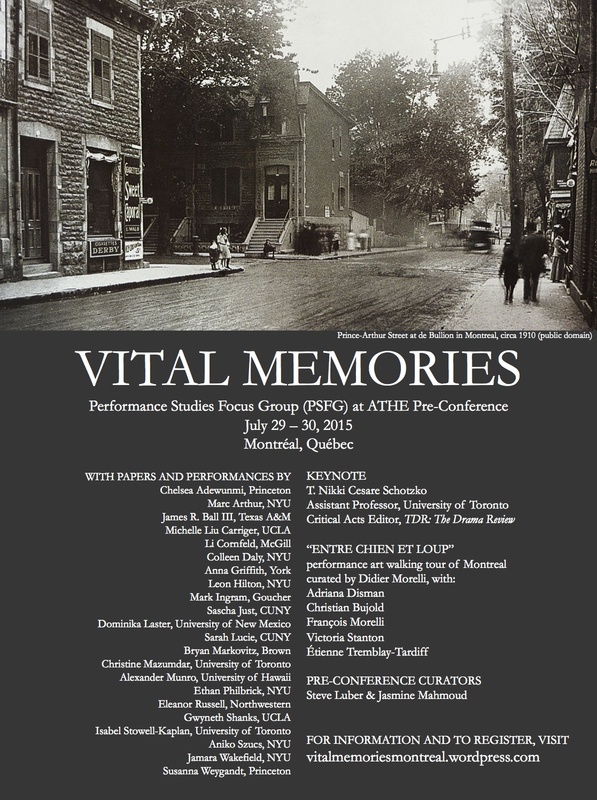 Held July 29-30, 2015 in Montreal, Quebec, VITAL MEMORIES , brought together scholars and artists investigating relationships among memory and performance. 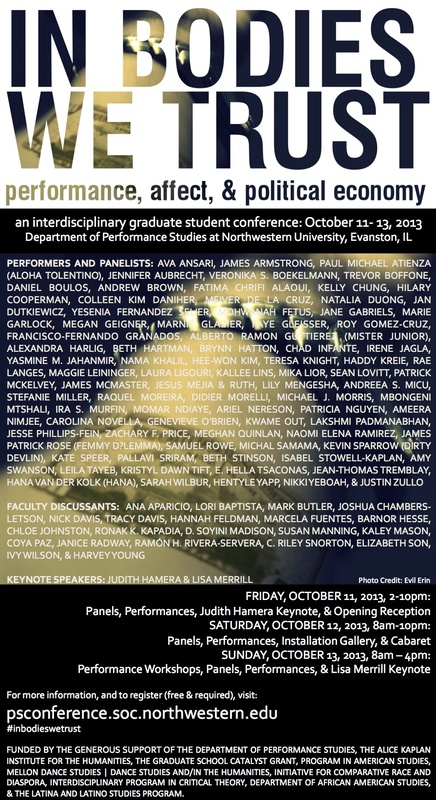 Co-organizer, curator, and website builder for IN BODIES WE TRUST: PERFORMANCE, AFFECT, & POLITICAL ECONOMY, the Department of Performance Studies at Northwestern University Graduate Student Conference. The widely attended conference, held October 2013, included paper presentations, performances, and workshops by over 70 scholars and artists. 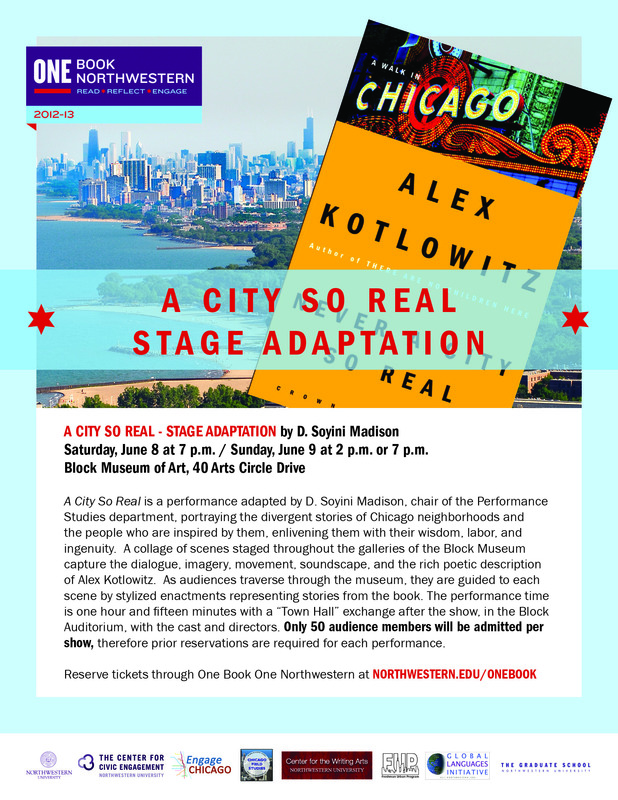 Performer in A City So Real, a stage adaptation of Never A City So Real by Alex Kotlowitz. 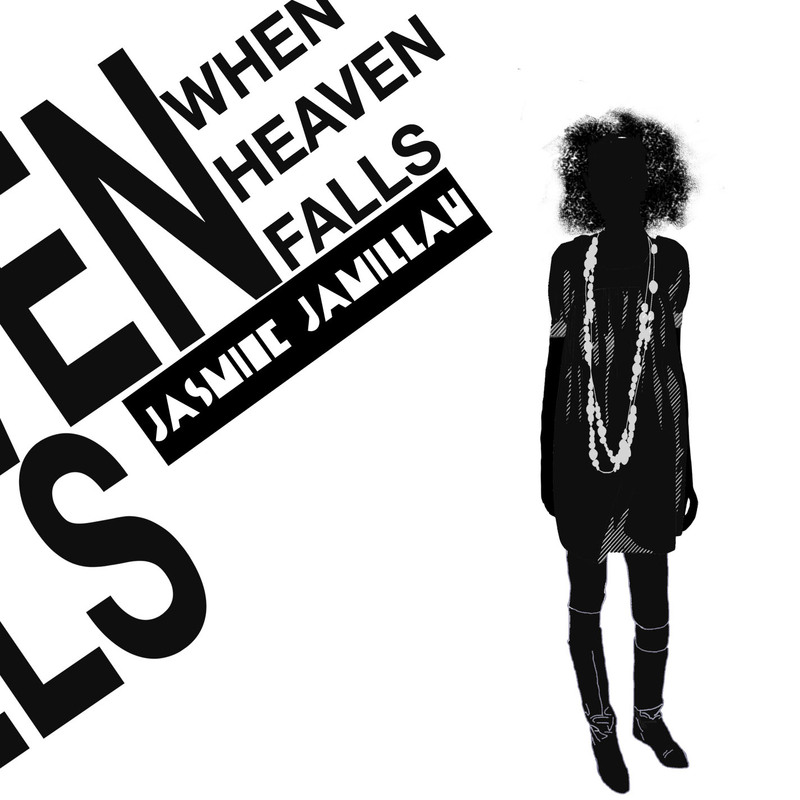 Directed by D. Soyini Madison and Chloe Johnston, A City So Real was staged June 8-9, 2013 at the Block Museum at Northwestern University. 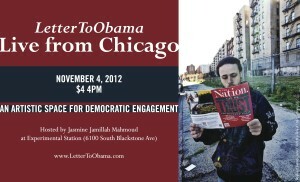 Co-producer of LetterToObama: Live from Chicago, an event directed by M. Liz Andrews, founder of LetterToObama. 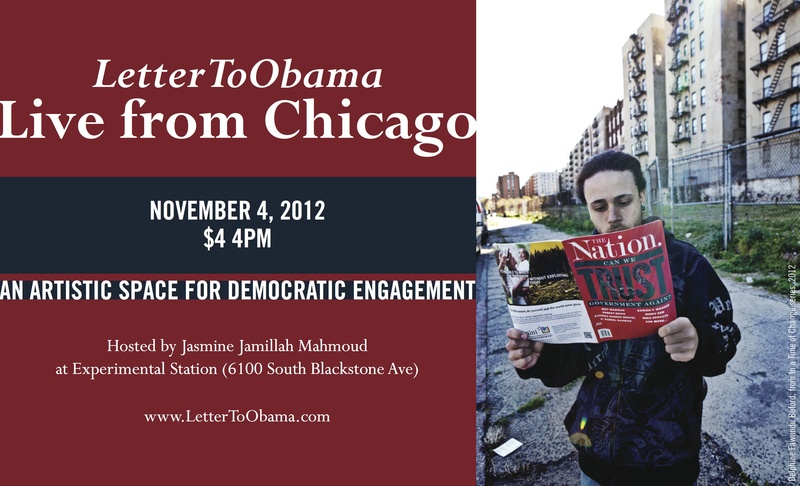 On November 4, 2012, four years after Barack Obama was elected and two days before election day 2012, LetterToObama brought together artists to perform “Letters” to the 44th President. Live From Chicago was presented at Experiment Station on the south side of Chicago, blocks from the Obama home, and featured poetry, dance, performance art, video and music. 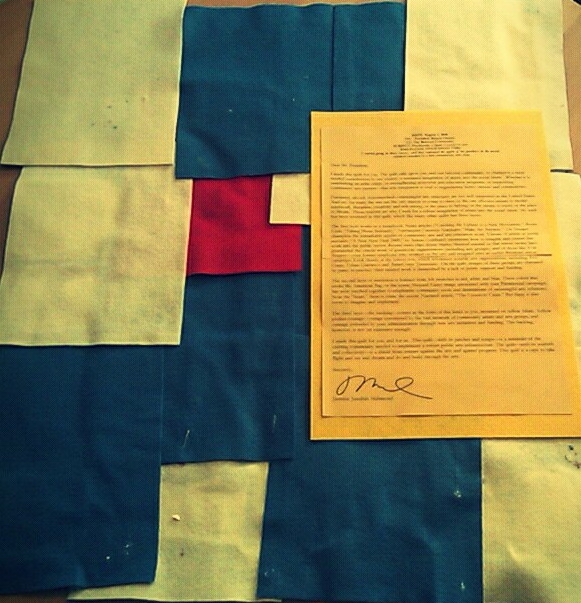 Artist of PATCHWORK, A QUILT + LETTER TO YOU (2010), exhibited on LetterToObama, the site by M. Liz Andrews. Lead musician in Jasmine Jamillah, the soul/folk group that performed in New York City and released three albums.